Common Bluetail Damselflies are one of the most common damselflies found in Victorian waters and there are heaps buzzing around this year. They prefer slow-running or still waters. For the male, the head and thorax are black and blue, the abdomen is black in colour. There is the blue tip at the end of abdomen. The female are the same size, with pale blue to grayish-green in colour. 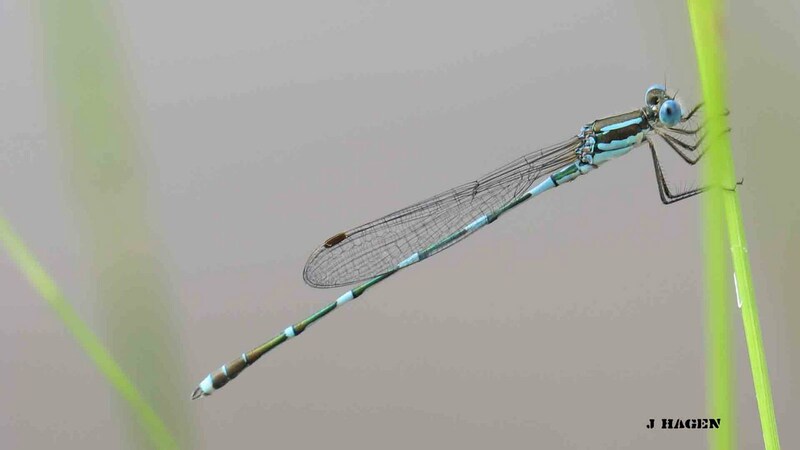 They usually rest on the plants either in the middle of ponds or at the water edges.